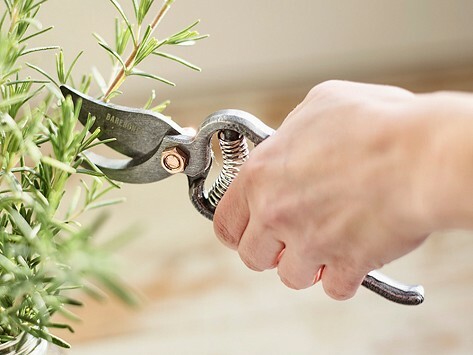 Trim branches of all sizes with this vintage-inspired metal pruner. Its durable design features copper accents and is extremely sharp for precise cutting. Dimensions: Pruner: 8" x 2" x 1"; Pruner + Sheath: 10" x 3" x 1"
So far I really like the ease of use plus they are very sharp. Very pleased with my new pruner. The quality is excellent and handles well. This will last for a long time with proper care.